Clipping your pet's nails is a regular maintenance job that may seem a little daunting, but it's quick and easy once you get started! 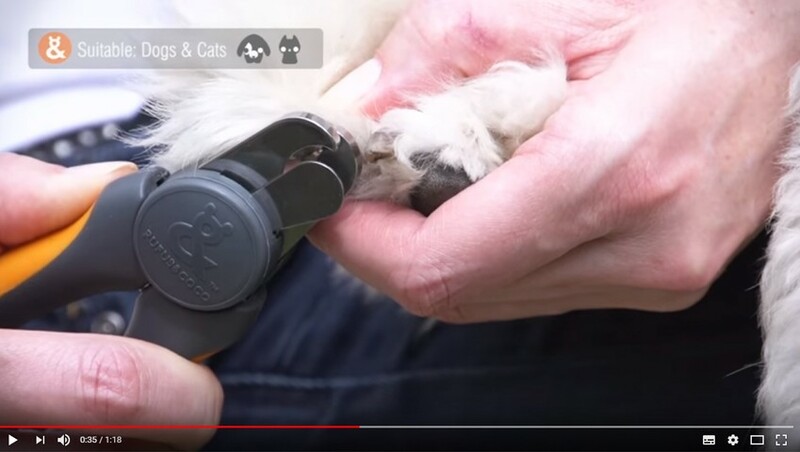 The Rufus & Coco Safety Nail Clippers & File have a safety guide to help prevent you putting your dog's toe too far through the clipper, and over-clipping. The handy included nail file also helps to smooth rough edges and cleverly stores away in handle. Take your mate's paw in your hand and gently put the nail into the area between the clippers, resting on the guard so as to not cut off too much. Clip each nail and then finish off any rough edges with the handy file that folds out from the handle. "OK, it's not like I don't trust you cutting my nails, it's just... well... it hurts if you accidentally cut off more than is needed! But, thanks to Rufus & Coco Stainless Steel Safety Nail Clippers & File this is no longer a problem. The safety guard ensures that the right amount is trimmed, and the handy file takes all the rough edges off, so no more scratching the floors. Not that I admit to anything... "